We all have experienced that dreadful moment where we lost an important file from our iPhones. It is surely frustrating to lose important files that are of official, academic or personal importance. Imagine you in a scenario where you lost that report or thesis that you were working on, scary right? And we all have scoured the internet to get an iOS data recovery software that can make all those hardships go away. Then again, the softwares available on the internet are either unreliable or do not work at all. Now, we present to you the only software you need for all the iOS-related problems in your life – The iSkysoft toolbox. it is the easier way to perform an iPhone recovery process. The iSkysoft Toolbox is an all in one mobile management suite that comes with a plethora of features which can help you out when your iOS devices fail on you. The Recover option in the Toolbox is an advanced iOS Data recovery module that can restore deleted or lost files. The software can restore images, videos, messages, app data, documents, etc. with the click of a button! The reason why it’s mentioned iOS devices instead of a specific device is that the iSkysoft Toolbox iOS Data recovery works on more than just the iPhone range. It can help you recover data from iPad and iPod Touch with ease. Do not worry about compatibility issues as the software is compatible even with the latest iOS 12. Unlike the iOS data recovery softwares we see on the internet, iSkysoft takes a methodological approach towards recovering iOS data, thereby significantly increasing the rate of success. This mode of recovery is used when the files to be recovered are stored in the native device storage. The device data recovery is the feature that we may use the most because it is very effective at restoring storage data like images, documents, music, and other files. If you need to restore data that has been saved on iTunes to your iOS device, this is the option to choose. Unlike iCloud, iTunes doesn’t sync between every iOS device hence making it harder for users to recover lost files. With iSkysoft, your data is just a click away. 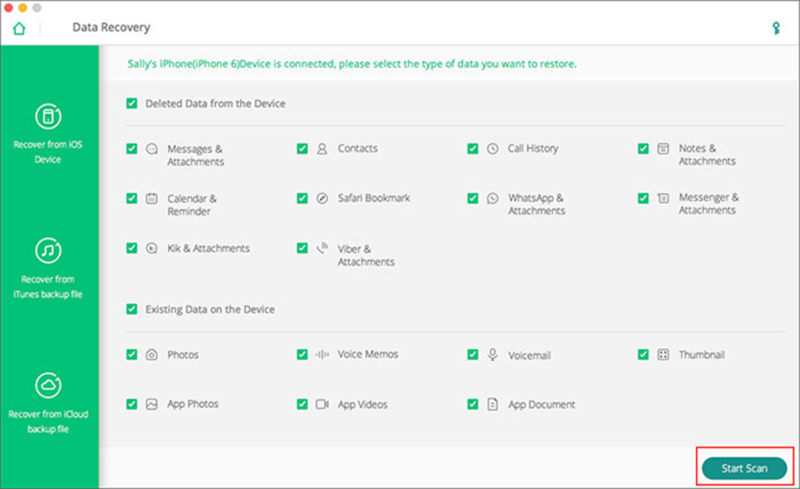 If you wish to restore data from your iCloud account to your existing or new device, then the iCloud recovery option will retrieve your iCloud data and transfers it to your iOS device. 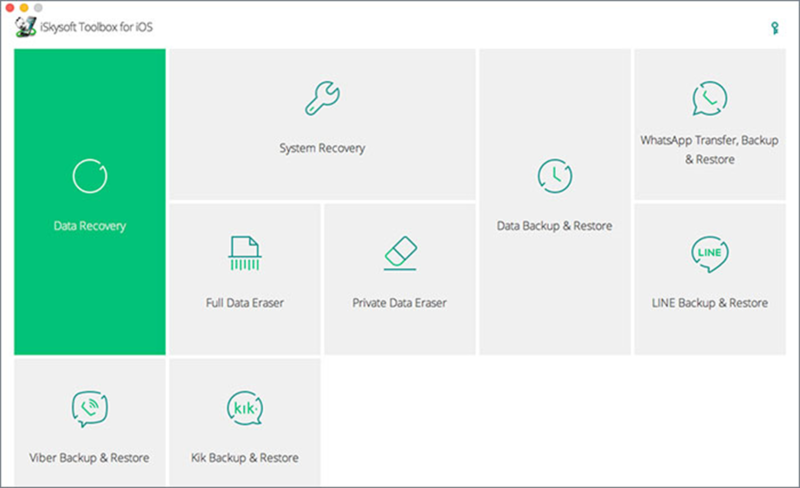 The capabilities of iSkysoft don’t just end with images, video, and docs, with the new version of the Toolbox, users have access to one of the most requested features – Message recovery. The best part of the new software is that can recover deleted messages on iPhone without a backup file. So if you forgot to backup your messages, don’t worry, the Toolbox has got your covered. Legacy support is also available with iSkysoft Toolbox as the software supports all the iOS versions from iOS 4. The following is a step by step by step guide to recover messages on your iOS device without backup. Step 1: Connect your iOS device to your computer and launch the iSkySoft Toolbox. Select Data Recovery from the list of available options. Step 2: A host of options related to iOS data recovery will be shown on the window. Choose “Messages & Attachments” to start the recovery process and click “Start Scan”. Step 3: The Toolkit will start scanning the device for deleted and lost messages. After the scan, the list of messages that can be recovered will be shown as a list. The user can choose to either recover all of them or select them per requirement. Click “Recover to Device” or “Recover to Computer” to start the file transfer. That is all there’s to it! Three simple steps to get back the important messages that you had lost from your device. 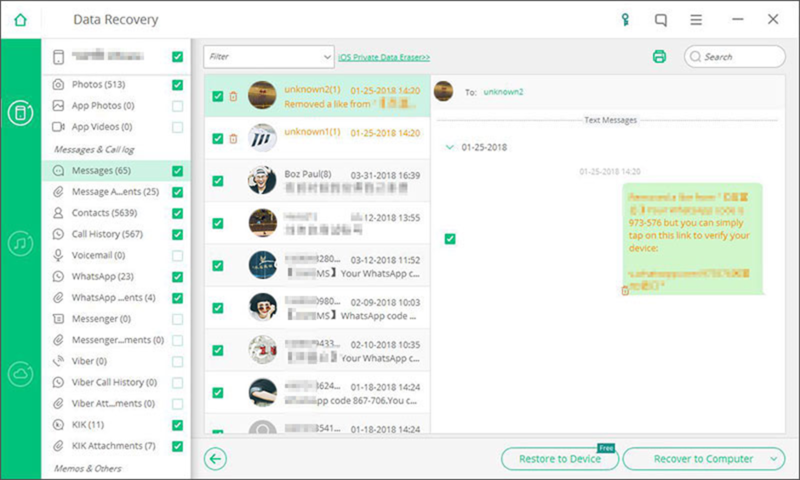 Users will also have the option to move the recovered messages to either the phone or your computer. The text messages can be saved in HTML, Excel, CSV, and other formats. The emphasis with all these intuitive features is to provide customers with the greater power of convenience. Note: The recovery option will also work for iPads. There is no other software that makes the whole process this easy for a user. 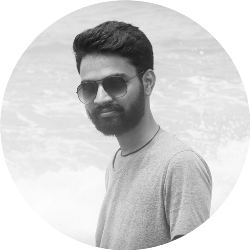 Every software from iSkysoft is tested rigorously before roll out to make sure that there are no points of failure when it comes to security. The consistent software updates ensure that you have all the latest tools as soon it’s released. The All-In-One Smartphone Management Suite That You Will Ever Need! The iSkysoft Toolbox is available on both Windows and Mac, and the installation process is straightforward and hassles free. Many customers have had a bad experience from choosing a device recovery software that isn’t from a trusted source. The credibility of iSkysoft is unquestioned, and you can install in on your device without thinking twice. The Toolbox also provides the same intuitive features for Android devices. It is never wise to wait until things go wrong, if your smartphone regularly handles important or sensitive data, then installing iSkysoft Toolbox is a must. It will definitely help you gain control of your smartphone device when they inevitably go wrong. In essence, a true smart device companion for iOS and Android users. How to Migrate OS to HDD/SSD?